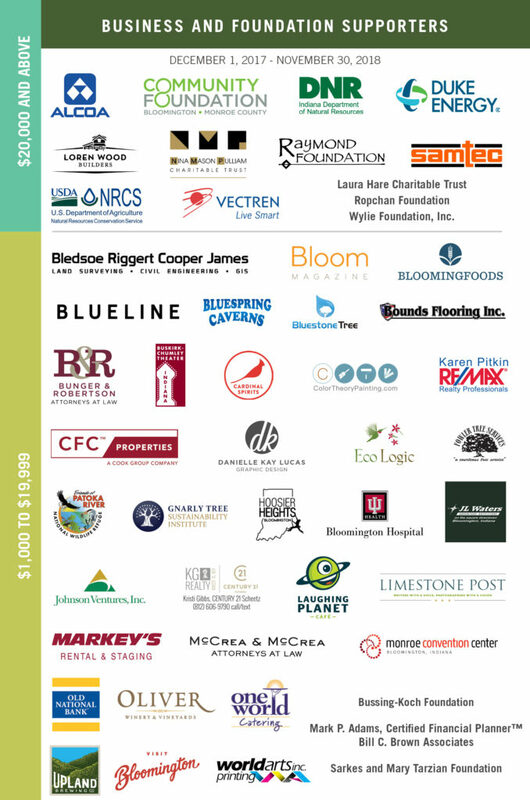 Sycamore is grateful to all our business donors for their generous support through financial contributions and in-kind donations and services! Our donors of $1,000 and above are featured below. To learn more about how your business can support conservation and environmental education, contact Ann Connors at 812-336-5382 ext. 104 or ann@sycamorelandtrust.org. View a list of benefits to business supporters.